The Tycoon is in fine whack. I have rarely seen him more serene & busy. He is managing this war, the draft, foreign relations, and planning a reconstruction of the Union, all at once. I never knew with what tyrannous authority he rules the Cabinet, till now. The most important things he decides & there is no cavil. I am growing more and more firmly convinced that the good of the country absolutely demands that he should be kept where he is till this thing is over. There is no man in the country, so wise so gentle and so firm. I believe the hand of God placed him where he is. 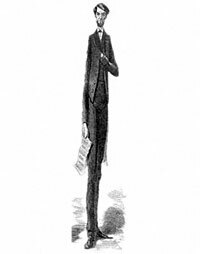 Mr. Lincoln, therefore, according to historian Allen C. Guelzo, made sure the “last word in patronage” was his. 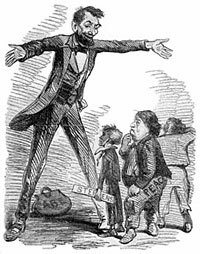 “He intervened directly in numerous patronage appointments, overriding [Secretary of the Treasury Salmon Chase, Postmaster General Montgomery Blair], and other cabinet officers to demand the hiring of certain party faithful or to provide reliable incomes for party workers. 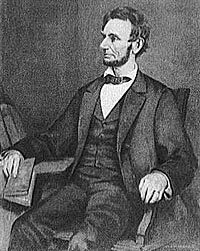 In August, 1861, when one of Chase’s lieutenants in charge of the Philadelphia mint hesitated to hire Elias Wampole, a loyal Lincoln campaigner in Illinois, Lincoln irritably insisted that a job be found for Wampole, even if it meant make-work. ‘You must make a job of it, and provide a place…You can do it for me, and you must. 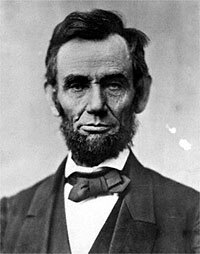 '”8 No job was too small to draw Mr. Lincoln’s attention because he recognized that all jobs were important to the petitioners. 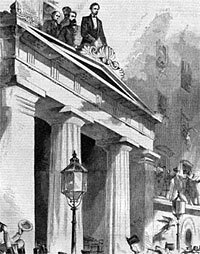 Charles Francis Adams expected a modicum of ceremony to accompany his appointment as U.S. minister to England, a critical job given the desire for diplomatic recognition by the Confederate government. 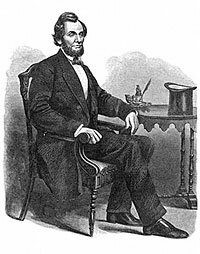 When Adams thanked Mr. Lincoln for the appointment, he was appalled when the President attributed the choice completely to Secretary of State William Seward and then turned their attention immediately to filling the job of postmaster in Chicago. To-morrow, and tomorrow, and tomorrow. 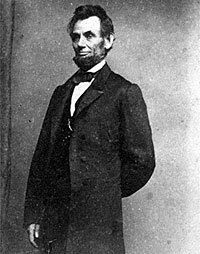 To win the war, free the slaves, and reunite the nation, President Lincoln undertook a series of extraordinary steps – such as suspension of habeas corpus, trial of civilians by military courts, institution of the draft, and forms of warfare that were destructive to private property – which would have been previously unthinkable to him. 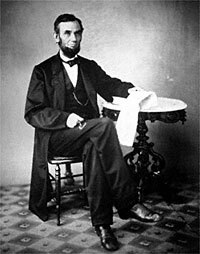 Even the Emancipation Proclamation was taken as an act to preserve the Union. 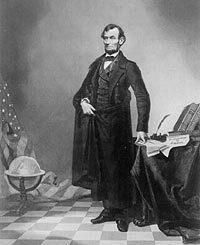 Although the President often consulted with others, some important steps like the Emancipation Proclamation and the reinstatement of George McClellan as head of the Army of the Potomac – were essentially done by the President alone. Walter Lowenfels, editor, Walt Whitman’s Civil War, p. 260. John Hay to John G. Nicolay, Washington August 7, 1813 in Michael Burlingame, editor, At Lincoln’s Side: John Hay’s Civil War Correspondennce and Selected Writings, p. 49. Edward Duffield Neill in Rufus Rockwell Wilson, Intimate Memories of Lincoln, p. 601-602. Bruce Catton, This Hallowed Ground, p.27. Carl Schurz, The Reminiscences of Carl Schurz, II, p. 239-240. John Hope Franklin, “Lincoln and the Politics of War,” in Ralph Newman, editor, Lincoln for the Ages, p. 227. 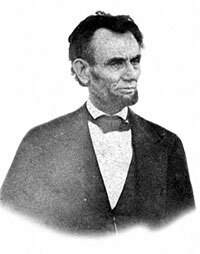 Allen C. Guelzo, Abraham Lincoln: Redeemer President, p. 279. William Howard Russell, My Diary North and South, p. 22-23. Paul M. Angle and Earl Schenck Miers, The Living Lincoln, p. 391. Isaac Arnold, The Life of Abraham Lincoln, p. 203. Theodore Pease, editor, Diary of Orville Hickman Browning, p. 559-560. Rufus Rockwell Wilson, Intimate Memories of Lincoln, p. 404. William C. Davis, Lincoln’s Men, p. 132. Carl Sandburg, Abraham Lincoln: The Prairie Years and The War Years, p. 348. William C. Davis, Lincoln’s Men, p. 112. 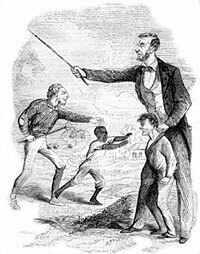 William Herndon and Jesse Weik, Life of Lincoln, p. 423-424. 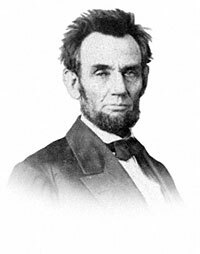 Smith Stimmel, Personal Reminiscences of Abraham Lincoln, p. 96. Michael Burlingame, The Inner World of Abraham Lincoln, p. 290. Herndon and Weik, p. 424. Charles Dana, Recollections of the Civil War, p. 158-159. Michael Burlingame, editor, Lincoln Observed: Civil War Dispatches of Noah Brooks, p. 212. James G. Randall, Lincoln the President: Last Full Measure, p. 365. Philip Shaw Paludan, The Presidency of Abraham Lincoln, p. 26. Shelby Foote, The Civil War, Volume I, p. 166. Richard N. Current, The Lincoln Nobody Knows, p. 210-11. William Hanchett, Out of the Wilderness, p. 130. James G. Randall, Lincoln the President: Midstream, p. 67, 81. 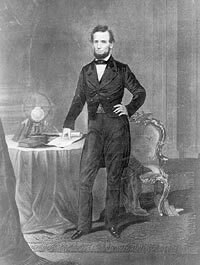 Michael Burlingame, editor, An Oral History of Abraham Lincoln: John G. Nicolay’s Interviews and Essays, p. 90. Michael Burlingame and John R. Turner Ettlinger, editors, Inside Lincoln’s White House: The complete Civil War Diary of John Hay, p. 245. Stefan Lorant, The Life of Abraham Lincoln, p. 218. 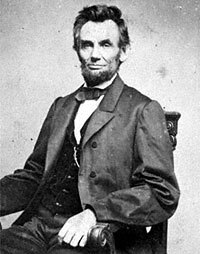 Benjamin P. Thomas, Abraham Lincoln, p. 477-478. Charles Dana, Recollections of the Civil War, p. 165-66. 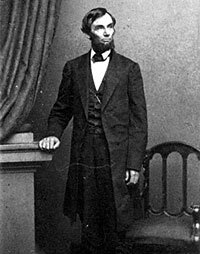 Smith Stimmel, Personal Reminiscences of Abraham Lincoln, p. 30-31. Charles Strozier, Lincoln’s Quest for Union, p. 228-229. Don E. Fehrenbacher, Lincoln in Text and Context, p. 158. 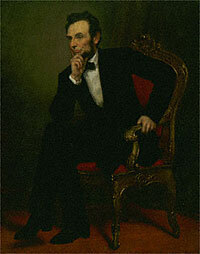 Roy P. Basler, A Touchstone for Greatness: Essays, Addresses, and Occasional Pieces about Abraham Lincoln, p. 222. Don E. Fehrenbacher, Lincoln in Text and Context: Collected Essays, p. 158. Ida Tarbell, Life of Lincoln, Volume II, p. 156, 153. Stephen W. Sears, Controversies & Commanders, p. 15. William Herndon and Jesse Weik, Life of Lincoln, p. 435. T. Harry Williams, Lincoln and His Generals, p. 7. Colin R. Ballard, The Military Genius of Abraham Lincoln, p. 6-7. Steven E. Woodworth, Jefferson Davis and His Generals, p. 305. James Glatthaar, Partners in Command, p. 231-232. Bruce Catton, Grant Takes Command, p. 132. William O. Stoddard, Lincoln’s Third Secretary, p. 198-199. John Nicolay, Abraham Lincoln, p. 440. Helen Nicolay, Personal Traits of Abraham Lincoln, p. 192. Douglas L. Wilson, Lincoln Before Washington, p. 178. 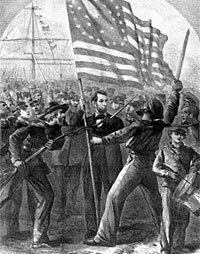 Allan Nevins, The War for Union, Volume II: War Becomes Revolution, 1862-1863, p. 399. Mark E. Neely, Jr., The Fate of Liberty: Abraham Lincoln and Civil Liberties, p. 221. Harry V. Jaffa, Crisis of the House Divided, p. 404. Gabor S. Boritt, Lincoln and the Economics of the American Dream, p. 256. Lord Charnwood, Abraham Lincoln, p. 439-440. 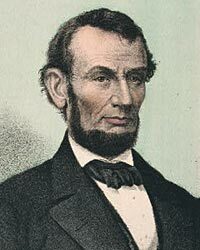 Harold Holzer, Lincoln as I Knew Him, p. 197-200. Allen Thorndike Rice, Reminiscences of Abraham Lincoln, p. 193. Wayne C. Temple, Abraham Lincoln: From Skeptic to Prophet, p. 233. James M. McPherson, Abraham Lincoln and the Second American Revolution, p. 65, 85, 89. 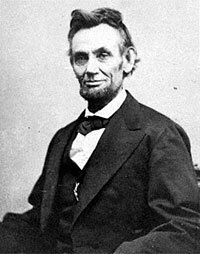 Garry Wills, “Lincoln’s Greatest Speech?”, Atlantic Monthly, September 1999, p. 66-67. David E. Long, “I Shall Never Recall a Word,’ in Frank Williams, William D. Pederson, and Vincent J. Marsala, editors, Abraham Lincoln: Sources and Style of Leadership, p. 100. McPherson, Abraham Lincoln and the Second American Revolution, p. 91. Lloyd Lewis, The Assassination of Lincoln: History and Myth, p. 31. LaWanda Cox, Lincoln and Black Freedom: A Study in Presidential Leadership, p.7. Nathaniel Hawthorne, Chiefly About War Matters by a Peaceable Man. Stephen B. Oates, With Malice Toward None: A Life of Abraham Lincoln, p. 402. Rufus Rockwell Wilson, p. 601. David Donald, Lincoln, p. 551. Catton, Grant Takes Command, p. 433-434. Rufus Rockwell Wilson, p. 610. Francis Carpenter, Six Months in the White House, p. 293.